Award-winning poet who became known for his politically-charged works. An acclaimed Urdu poet, he was the recipient of the Sitara-i-Imtiaz,	Hilal-e-Imtiaz, and Nigar awards. He attended Edwards College and Peshawar University. His poetic criticism of the politics of the Zia-ul-Haq era led to his arrest. He was born in Kohat, Pakistan (then part of British India). His brother, Syed Masood Kausar, was a prominent Pakistani politician. 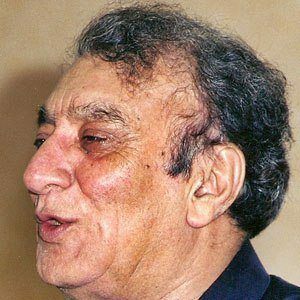 He and fellow poet Jan Akhtar were both born in India.